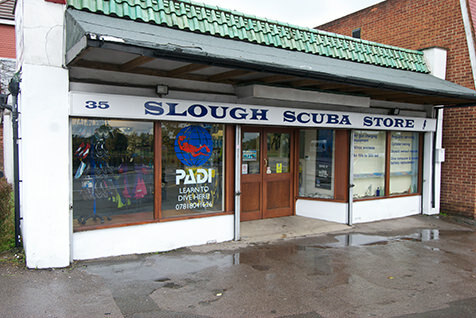 Slough Scuba is owned and run by Gary Hamilton and Paul Wood, together and partner Martin Crew. Gary is an experienced commercial diver and has run the store for some 13 years. Slough Scuba is now a PADI centre and welcomes experienced divers and new divers alike. There is a busy club, Scuba Crew, based at the store with 140 members, who organise UK and overseas diving trips, as well as regular social evenings and events. The store is fully stocked with major brands of diving and snorkelling equipment, and Gary and his team have been recognised for many years as the premier equipment servicing facility in the area. Martin is an experienced instructor and master scuba scuba diver trainer and oversees the dive school, and learn to dive courses can be completed in the UK or on the stores escorted overseas trips with Scuba Travel.